1969 TR-2 - Communication Plaza | Yamaha Motor Co., Ltd. This was Yamaha's first 350cc production racer. Its power unit was developed with the production model R3's engine as its base and it was mounted on a featherbed type double cradle frame of a spec equivalent to a factory racer, while factory spec components were also used for the unsprung components including the suspension and brakes. 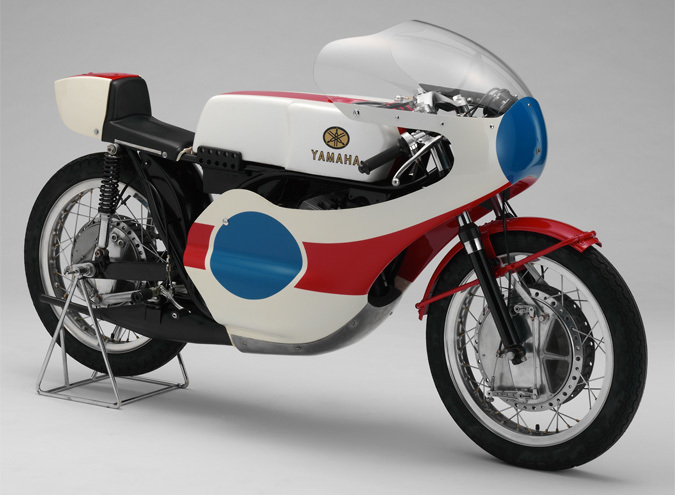 It was released in 1969 along with the 250cc model TD-2 and was a highly competitive performer in many World GP races.